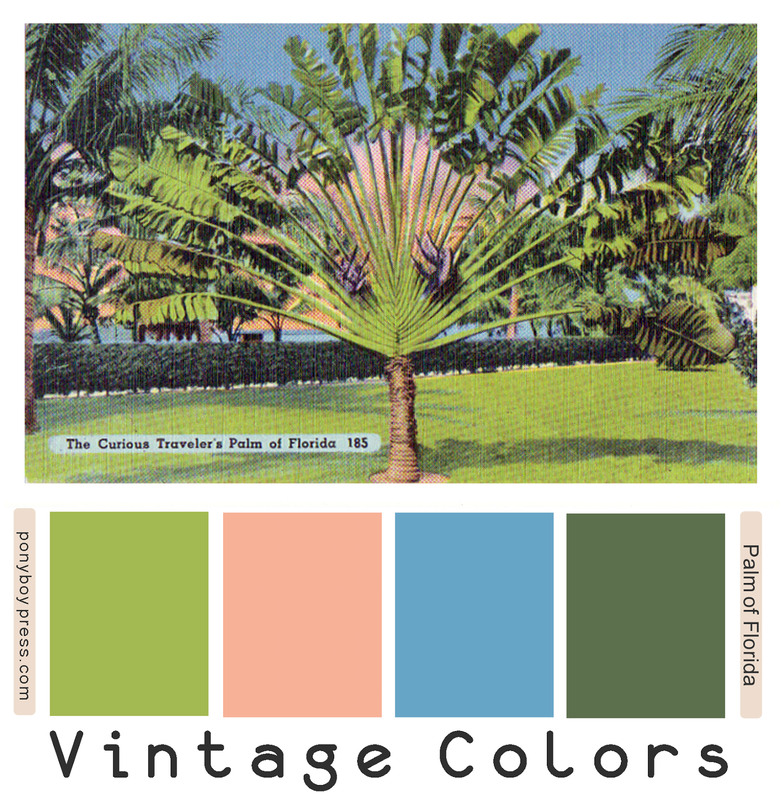 I love making my Vintage Color Palettes. One of the things that has always drawn me to old postcards and ephemera is the colors - the combos and the hues. So, once I hit on the idea of showing them off in Vintage Color Palettes it was hard to believe I hadn't thought of it before. It was a natural. But, what do you do with them you might ask? Well you can use them for decor or entertaining inspiration for one. You can plan rooms or weddings by them. But, you can also use them in many ways for web design. You could use a favorite combo for a blog or website design. You could also use them for a special poster or other illustration. You could upload them for custom phone covers or water bottles - anywhere you upload your own image on a product. You could also use them to make background papers for your blog, website or for bookmaking or scrapbooks. Have you heard of Colourlovers? I found this again recently and got pretty obsessed with it. 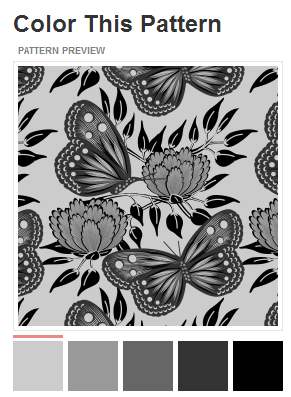 Colourlovers is a place where you can make your own patterns and palettes. You can also color patterns created by other people. This seemed like a perfect opportunity to use the Vintage Color Palettes. And man, it's fun! This is where the hex color codes come in. The hex codes that I provide on each Vintage Color blog post gives you the exact code for that color. Just replace the greyed colors with that code and you'll soon have something made with your favorite Vintage Color Palette! So, here are 3 backgrounds using Vintage Color Palette combos. You can click through to Colourlovers and save these to your computer (just use alt + print screen on the large image) and use for tons of different things. They even have partnered up with Spoonflower (custom made fabric) and Imagekind (print on demand prints and prints on canvas). The truth is there is way more to the site than I have had a chance to check out yet. So, take a look see and now, onto the prints! I wanted a kind of mid-century print for the Monarchs of New York palette. Maybe it's the 70's child in me showing - but I love this color combination. 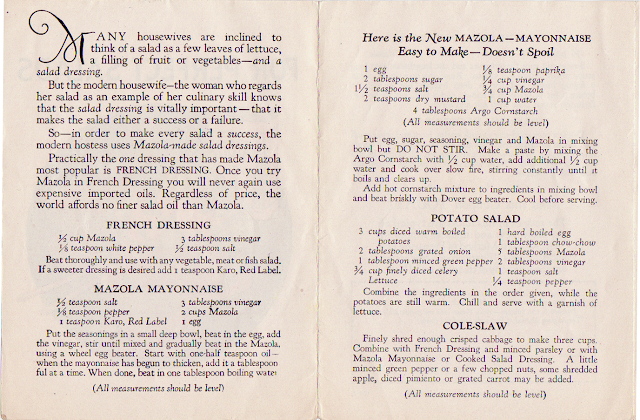 This pamphlet put out by Mazola, is, however, most likely from the 1930's - there's no date on it. Such a gorgeous color combo. I like it when they use a bunch of similar colors in things like this. The hex color code numbers are from top to bottom: dd852d, 5b8948, ffc033, c5571e. If you're interested in what's inside. Here are a couple pages. I like it when they say in these types of things "the modern housewife" does this and that. It's like they are kind of shaming people into buying their stuff, Like if your not into this your not modern. Modern was a big things during this time, - and not surprising since in a span of about 20 years so many houseworking devices became available to the average American. 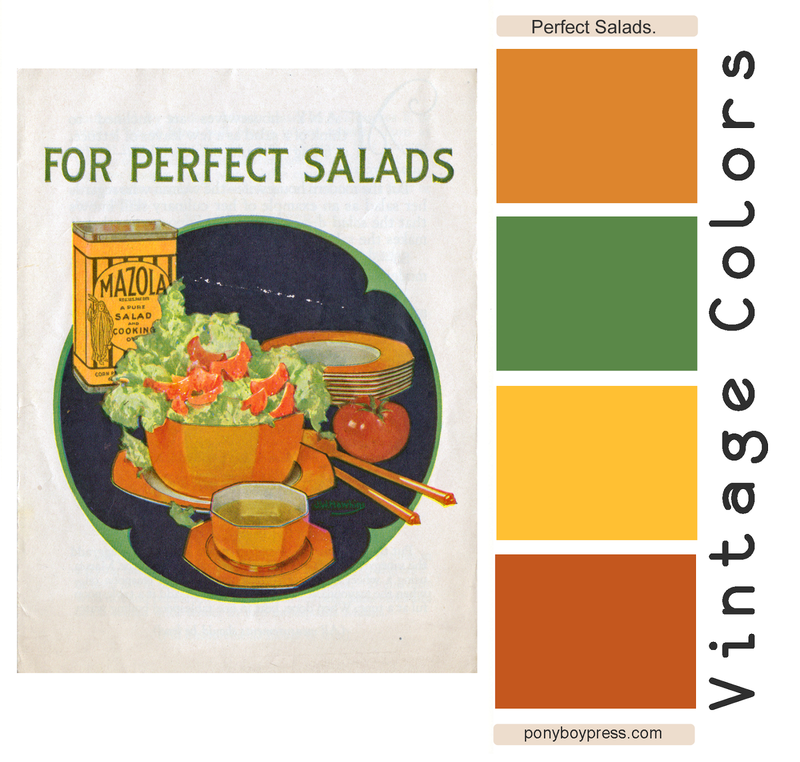 This color palette come from a vintage linen postcard from around 1946. The hex color codes are from left to right: a4b952, f7b198, 68a6c7, 5e704e.